A team of 1950s Monarchs turned back the clock to win tonight’s four-team tournament in the Platinum Jubilee celebration meeting held at Armadale Stadium. The winning quartet of Sam Masters, Mark Riss, Mason Campton, and Josh Pickering romped to glory with a combined score of 33 points. A team of 1983 Monarchs finished second and a 2018 team and a 1966 team of Monarchs were equal third. Riss said of his team’s victory: “It was a good night and it was great to triumph in this event to celebrate Monarchs’ birthday.” Masters said: “It’s always good to come back to Armadale, it’s my favourite track and it was nice to win. 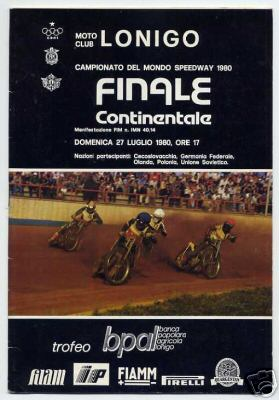 I felt good out there and I was delighted to lead my side to victory.” The four teams were pretty evenly matched and the home fans were especially enthused to see the return of Craig Cook who equalled the fastest time of the season in heat one leading a side of 1966 Monarchs. The racing was not of prime importance, the sense of occasion was. It was a thrill for a host of supporters who simply wallowed in nostalgia and took a meander down memory lane as they glimpsed some famous faces from days gone by who had worn the famous blue and gold race jacket of the Monarchs. The evening was a glowing tribute to them and a fitting 70th birthday celebration for this much loved and revered capital speedway outfit.